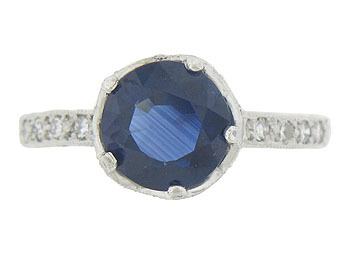 A stunning 2.83 carat sapphire rises from the face of this platinum engagement ring. Diamond frosted butterflies spin around the surface of the crown shaped central mount. 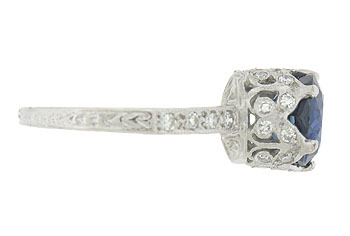 Additional fine faceted diamonds press into the rings shoulders. 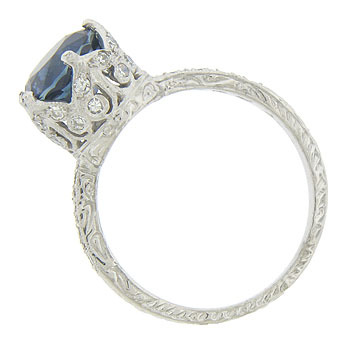 Intricate organic engraving adorns the sides of this elegant ring. 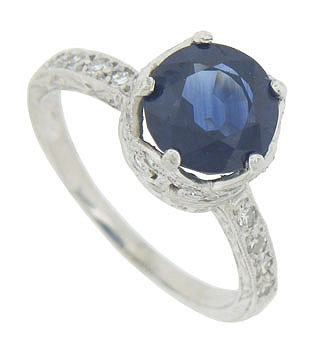 The antique style ring measures 9.04 mm in width. Size 6 1/2. We can re-size.